Today’s gospel ends with this incredible promise from Jesus, “I have come so that they may have life and have it to the full.” These words in themselves naturally convey a most consoling message but to many Protestants, it proves to be even more profitable – in the material and financial sense of the word. The verse found in John 10:10 has given rise to a particular theological movement among some Protestants called the ‘Abundant Life’ movement or more popularly known as the prosperity gospel. In other words, the promise of Jesus to give his believers the fullness of life, or the abundance of life, is seen as involving not only spiritual blessings but also physical and economical goods. Thrown into the cocktail of salvation are the two fold blessings of wealth and health. Although it is obvious that the message of the prosperity gospel is opposed to our Catholic teachings and values, many individual Catholics, however, continue to find the message appealing, for obvious reasons. Who doesn’t want to be healthy or rich? Of course, the promise of wealth, health and well-being, according to this doctrine, is conditional. For those who subscribe or promote it, God gives only good and perfect gifts to the deserving. This interpretation raises serious issues and presents a condemning and discriminating view of the marginalised. How do we possibly explain the predicament of the poor or misfortune in general? The easiest thing to do would be to attribute misfortune to a person’s culpability in having earned God’s displeasure or wrath, until troubles come home to roost even when you’ve been good, and this is when you begin to question its veracity. Shouldn’t God always reward those who are good and punish the wicked? Such a narrow interpretation of the meaning of a ‘full’ or ‘abundant life’ does not take into account a holistic reading of scriptures. As in all cases, selective reading often leads to confusion and a total subversion of the biblical message. A focus on the physical merely trivialises the profound depth of the fullness that comes with Christian living. In fact, the New Testament often emphasises a radically different result of following Christ. We are told that those who faithfully follow Christ will be persecuted, that Christ's message is divisive, that we will need to take up our cross and follow him, and that the normative expectation for Christian is suffering. Job promotions, lottery windfalls, new cars, and throwing away crutches are not among the fringe benefits offered by Jesus Christ. In fact, the cross, suffering, and persecution would be the lot of the faithful ones. Therefore, in order to understand what John 10:10 means, we need to look at its context. 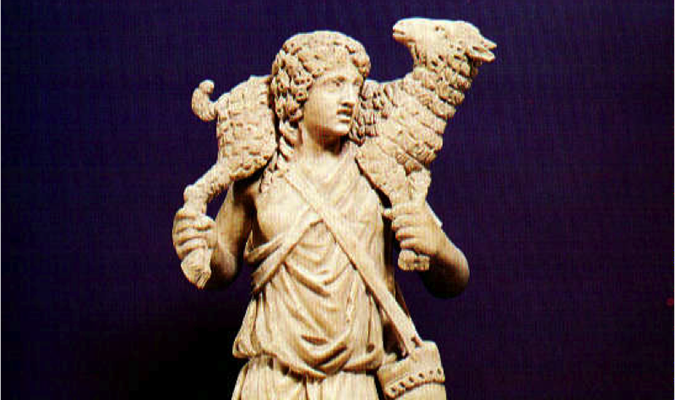 Chapter 10 of John's Gospel develops the biblical theme of sheep and the shepherd. The shepherd has the well-being of the sheep at heart, rather than his own. This shepherd is neither thief nor bandit who would steal sheep. Strangers do not have a personal relationship with the flock, but the good shepherd does. In addition to the metaphor of the shepherd, Jesus speaks of himself as the gate. This passage, however, does not offer us a problem about how Jesus can be both shepherd and gate. Instead, Jesus speaks of the gate to help clarify the image of shepherd. In both cases it is about the trustworthy one who brings his followers into ample pasture. Jesus' main purpose was the salvation of the sheep. Under his protection and by his gift they can experience the fullness life can offer. In the context of John's emphasis on eternal life, this statement takes on new significance. This word “abundant” in the Greek is perisson, meaning “exceedingly, very highly, beyond measure, more, superfluous, a quantity so abundant as to be considerably more than what one would expect or anticipate.” To limit the meaning of this word to economic, material and physical wellbeing would be mischievous and self-serving. In fact, in terms of economic, academic, and social status, most of the early Christians did not come from the privileged classes. Clearly then, abundant life does not consist of an abundance of material things. If that were the case, Jesus or his disciples would have been the wealthiest of men. But just the opposite is true, though a Christian finds his priceless treasure in something beyond the material. We must never confuse familiarity with understanding. Yes, Jesus, the Good Shepherd knows the name of the sheep. But there is nothing childishly fuzzy about this. It turns out that the Good Shepherd is not an image intended to comfort children. It is an image intended to inspire the faith of adults to greater heights especially during difficult times. And where does Jesus, our good shepherd, lead us? To green pastures and still water. The green pastures are the food that God provides us; the Word, the Sacraments and life in the Spirit. But there is more to these. The last place, which we would least expect from the Good Shepherd, is that He leads us to the cross. It is here on the Cross, that the Shepherd becomes the sheep; the Lamb of God is led to the slaughter and immolated on our behalf and it is his blood that cleanses us from all sin. A truly authentic abundant life flows from relationship with Jesus and through him with God. Contrary to what the prosperity gospel teaches, such a life demands that we become His sheep and be more vulnerable than we're most often prepared to be. So much of our life is about giving the impression that we really do have it all together and in this way guarding ourselves against vulnerability. So much of our life is about self-mastery and control, as we are caught in this double-bind of wanting greater intimacy with God and yet simultaneously holding back, not risking exposing ourselves fully to Him. It is this very real human condition and dilemma that the Son of God, the Shepherd chooses to become the sheep - God embraces humanity in the incarnation, taking on our lot and our life in the flesh and blood of Jesus. He divested himself of the invincible security of his Divinity and took on the vulnerability of the human flesh, and in doing so provided us with the supreme example of the abundant life – a life that exists in total trust of God’s caring providence and not founded on one’s own strength, wealth, health and devices. And so during this season of Easter, let us learn once again to be vulnerable, to learn how to listen to the voice of the Shepherd. We recognise that when we try to live our own lives, removed from the sheepfold, independent of the Shepherd, life becomes a dull, dispirited thing. But, when we walk with Jesus, there comes a new vitality, a superabundance of life. It is only when we live with Christ that life becomes really worth living and we begin to live in the real sense of the word – not just have life but have it to the full.